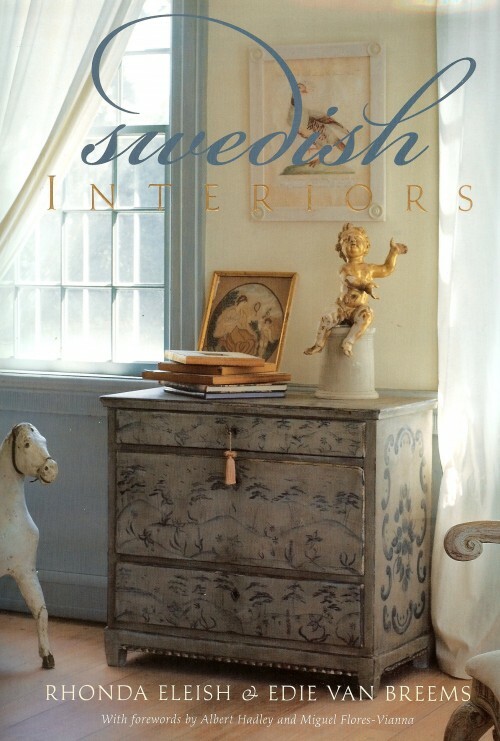 The Mallery Hall Collection and The European House bring to you antique Swedish furniture reproductions for half the price of true Swedish antiques. 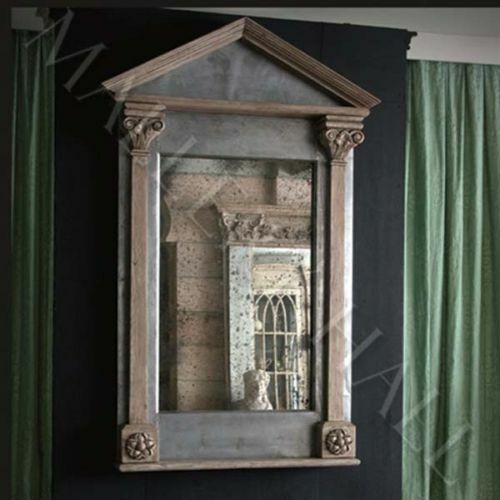 They specialize in reproducing old world distressed styles found in Tuscan furniture, the soft and feminine lines of the Victorian era, and the beauty and elegance of the French and Swedish styled furniture. 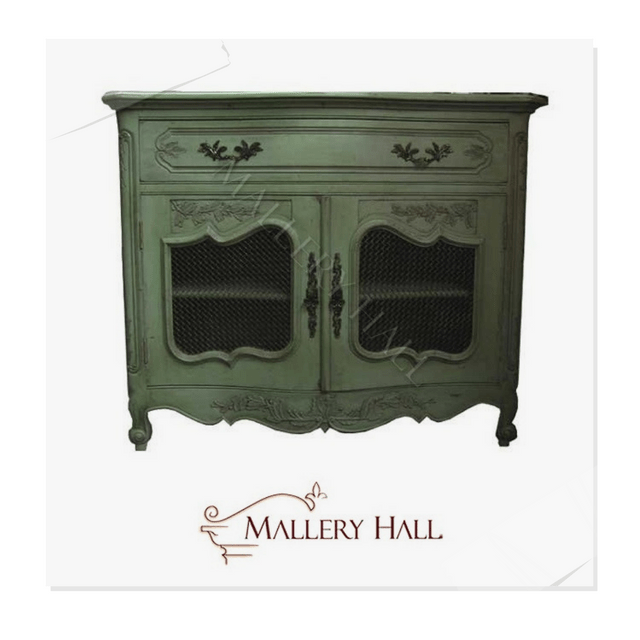 The Mallery Hall Cottage Collection consists of french and Swedish styles with an array of customized distressed paint finishes. 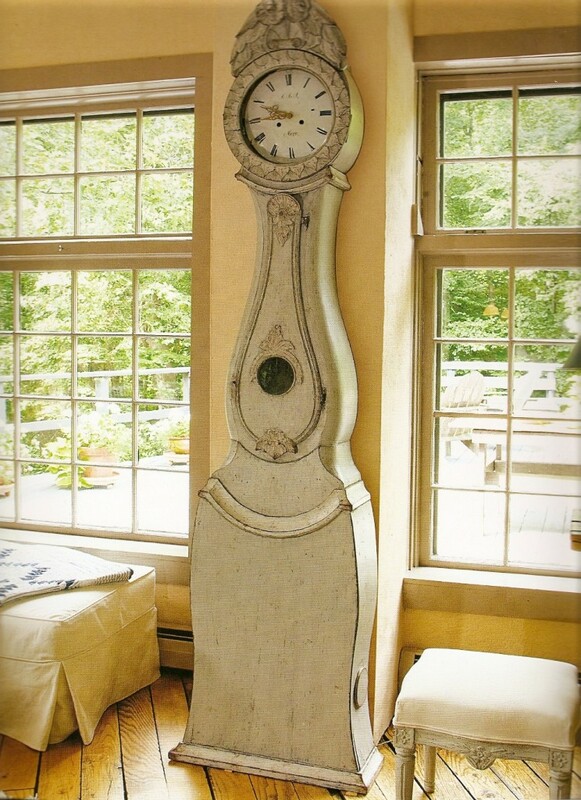 Each piece of furniture is hand-finished using old world techniques alongside modern production methods. 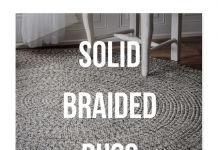 They also offer a number of custom construction options within the context of the line. 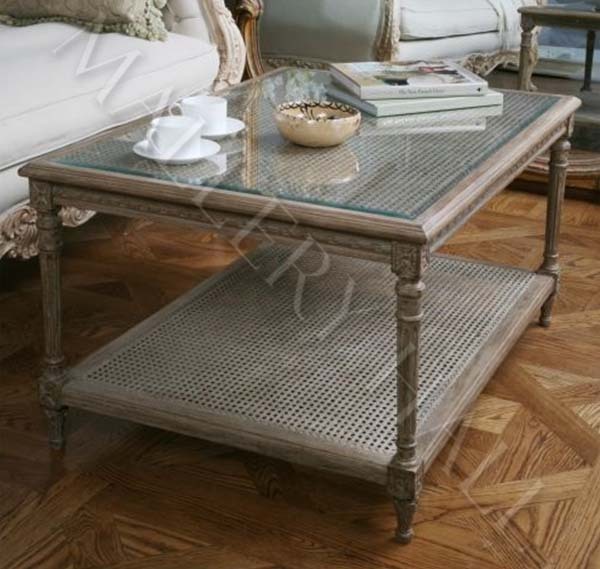 Even their French and English farmhouse tables and coffee tables can be ordered in custom sizes. 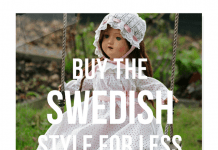 You would be amazed how many natural looking Swedish furniture pieces they carry. 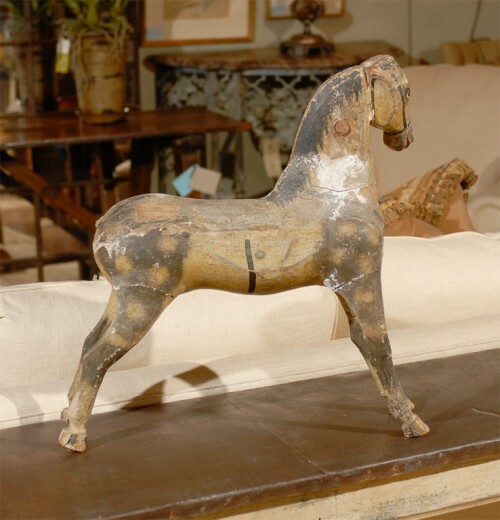 The European House carefully finishes each piece of furniture to create the patina of fine antiques with fittings and appliques appropriate to period furniture. 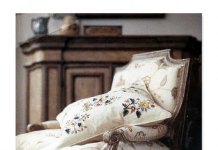 Using traditional construction techniques such as tendon joints, dovetailing, pegged mortise, parquetry and hand carving, they offer high quality furniture at very reasonable price points. 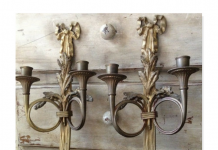 They work with oak, alder, teak, mahogany, pine, rubberwood, and birch woods. 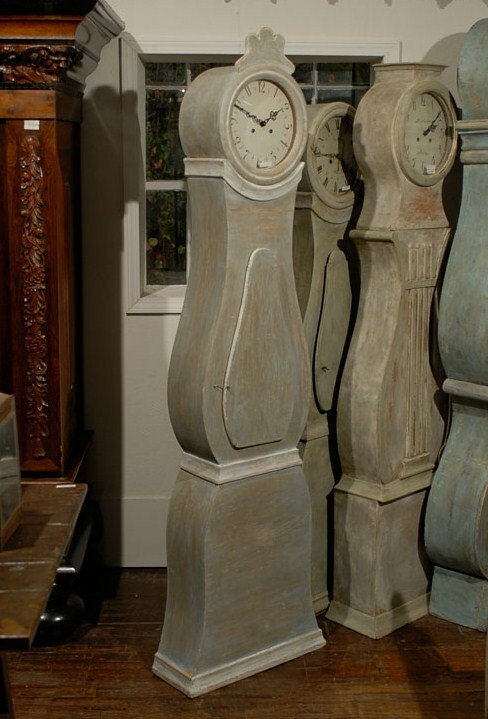 Some of their finishes are distressed which gives an authentic worn antique appeal that most companies tend to skip due to the time and hand precision that is required. 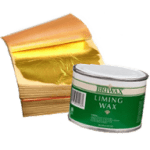 Waxed finishes are hand-applied over natural pine or selected painted colors. 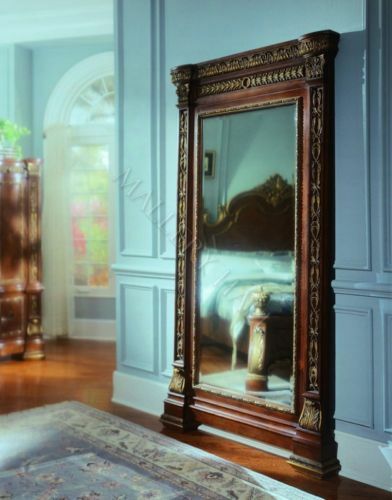 Waxed finishes are often times at first somewhat tacky to the touch, but over time hardens and produces an aged look, in addition protects the finish. 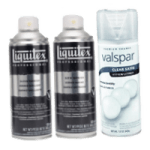 Mallery Hall also uses hand applied glazing over painted colors giving it an additional authentic antique look, which is then sealed in with a clear lacquer finish. 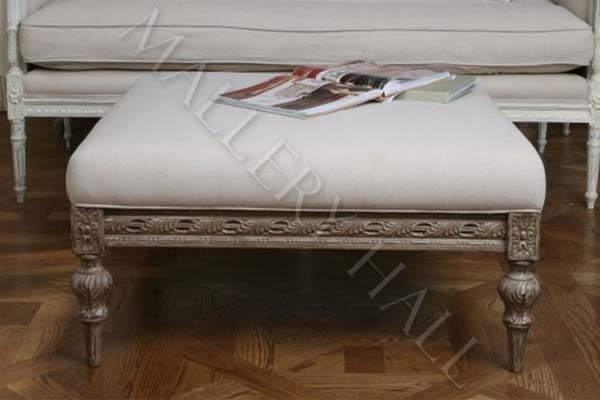 It is important to know that Mallery Hall produces their quality furniture right in the USA, and adds new products weekly. 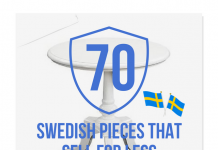 Their furniture is customizable which can take up to 6-8 weeks to deliver. 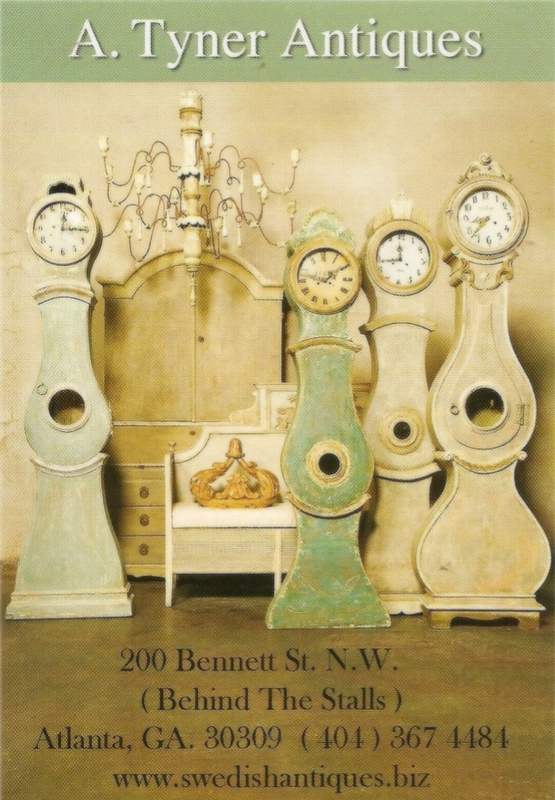 Reproduction furniture is hard to find, and trying to find a company that works with a variety of paint finishes is even more rare. 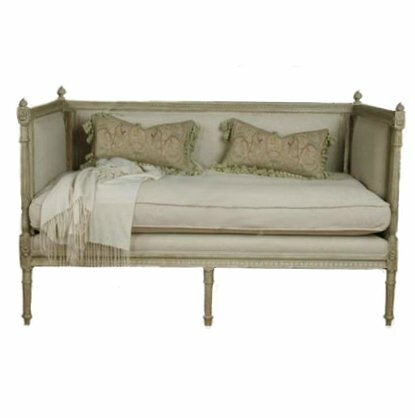 Mallery Hall’s French and Swedish lines are quite impressive, that we guarantee you will find a variety of pieces that you will love! This is only a few colors they offer. 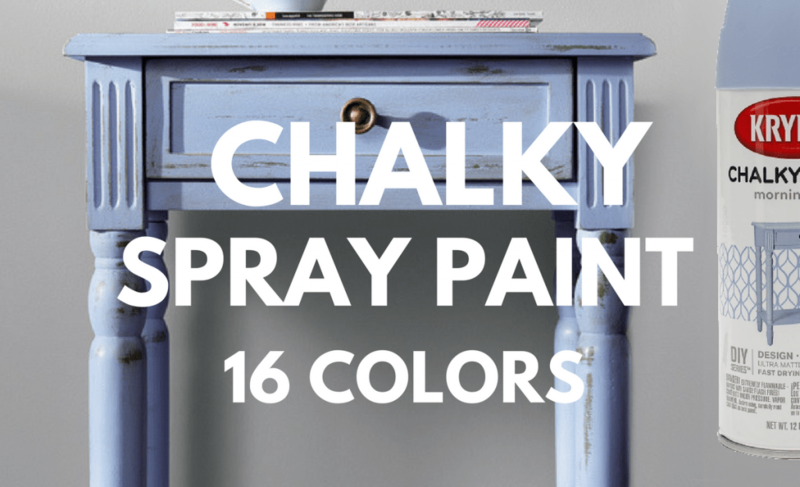 We choose our favorite colors which would fit into a French or Swedish scheme. 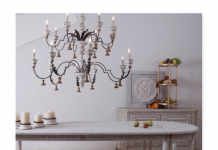 X Framed dining chairs have been tremendously popular these last few years, and many companies such as Pottery Barn, JC Penny, Target, Ikea all have their signature X framed chair. 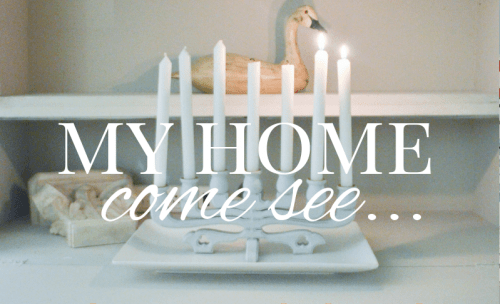 A few years ago, I came across a set of X framed dining room chairs in white. 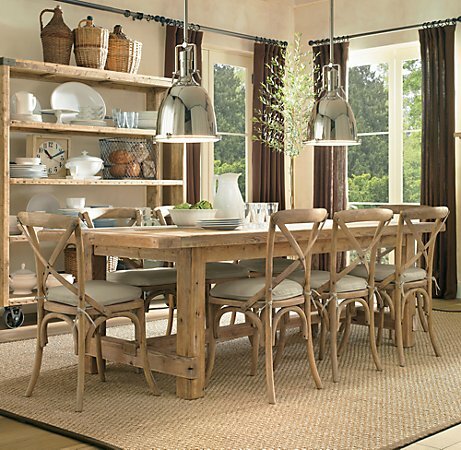 The Prairie 5 Piece Dining Table Set includes 4 X back dining chairs, much like Wisteria’s chairs. 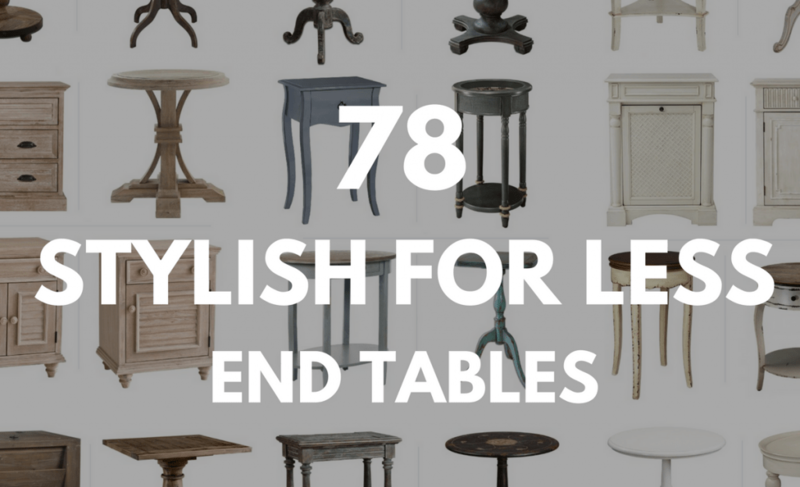 The finish is a distressed antique black finish with a solid hardwood construction. 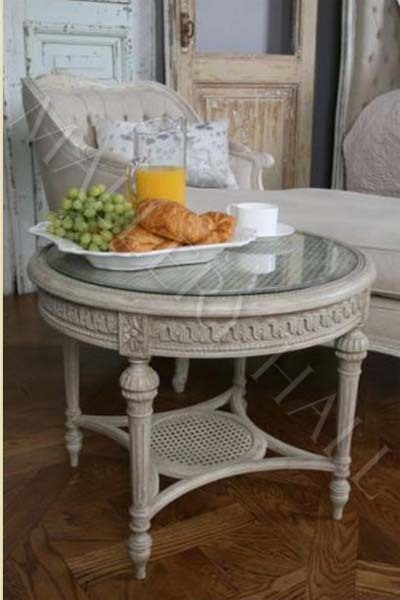 The table has rubbed edges for a worn unique look and classic styling. 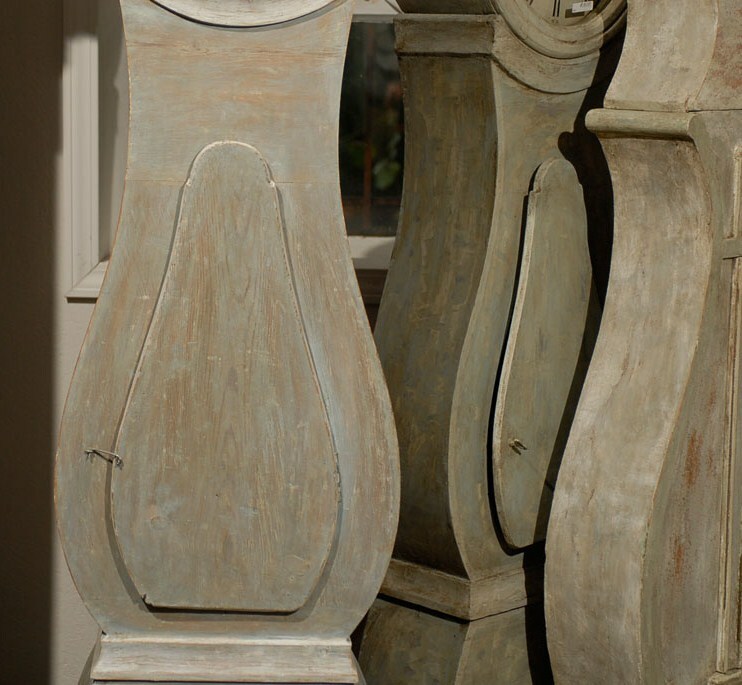 The Carolina Cottage Chestnut Toulon Chair, sells a set of 2 For $239. 2. 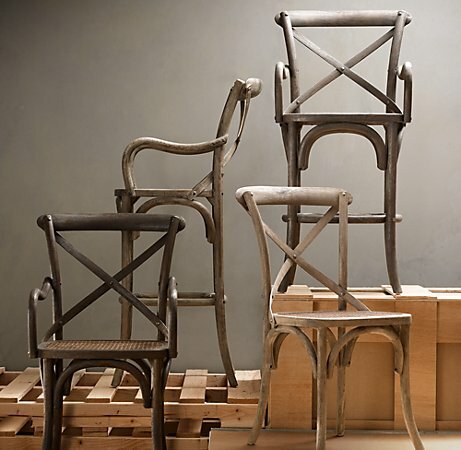 Restoration Hardware’s Madeleine X Back Chair is the most popular café chair in Europe. 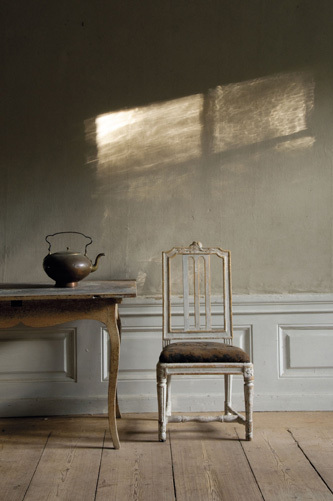 Restoration Hardware sells their Madeleine chair for $129. 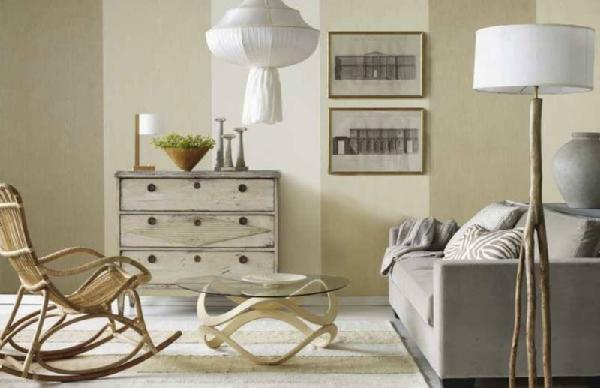 Restoration Hardware also has a number of beautiful pieces which are also raw wood which has been distressed. 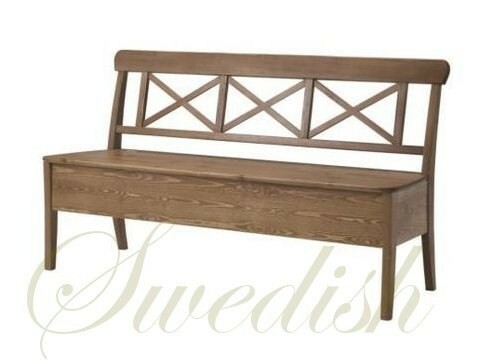 Both Restoration Hardware’s Madeleine chair and Wisterias Oak X Back chair are almost identical in design. Both have cane seats, and a lovely wood finish. 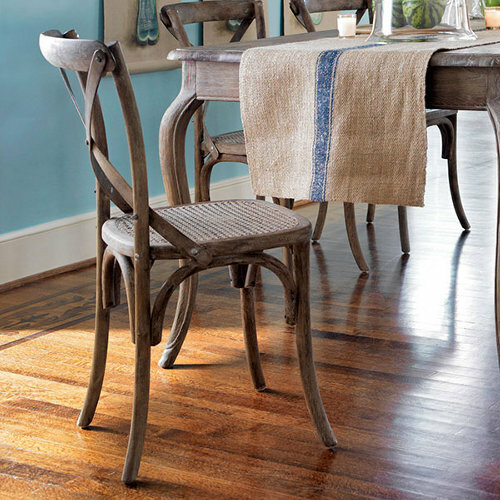 Both chairs are a play off the classic bentwood chair popularized by Thonet in 19th century Austria. Either of these chairs would be my top two choices. 3. 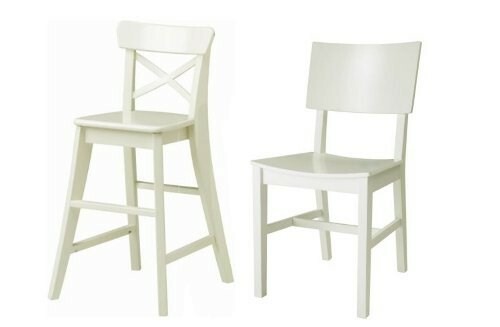 IKEA’s Ingolf Chair ($69) & NORVALD Chair($70) are both lovely chairs with underpinnings of Swedish styling. 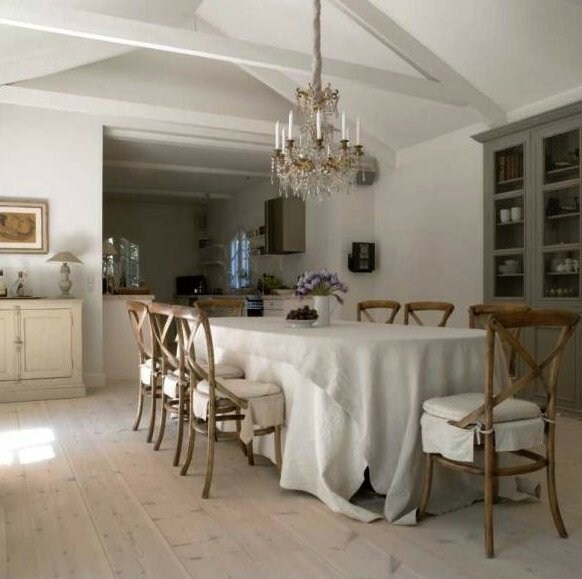 The Ingolf Line comes in raw wood which can be painted, or white washed to look like distressed wood. 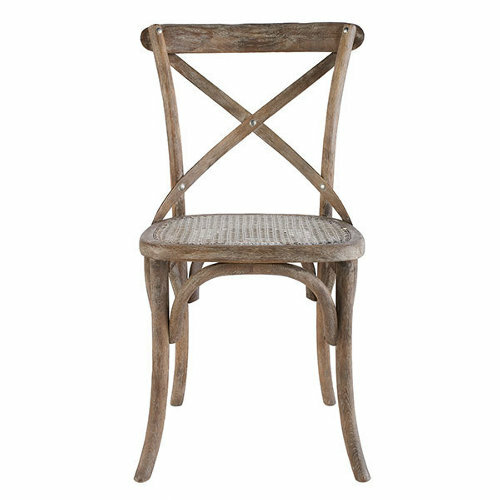 The Norvald chair, looks much like a klismos chair, except that it doesn’t come in raw wood. 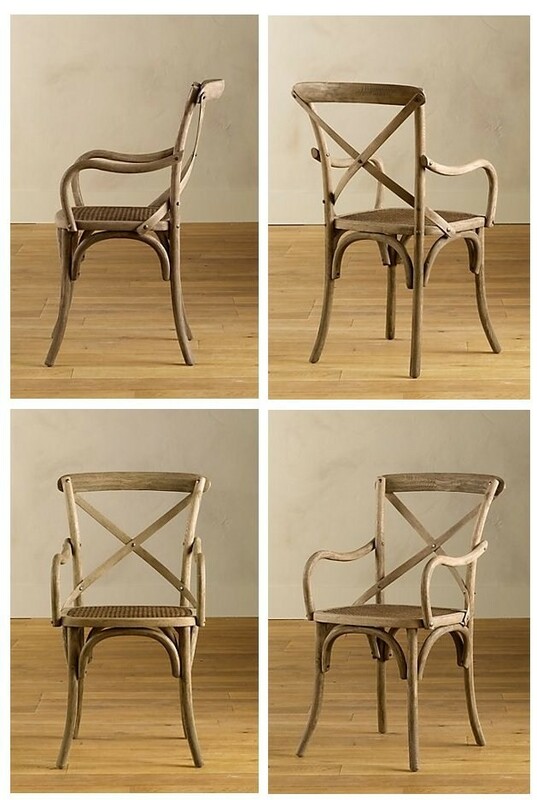 I have seriously considered the Norvald chair, and the only draw back is the legs and the overall finish. 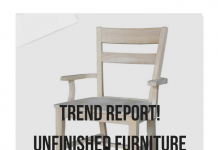 It only comes in white and black, so I suppose if you buy it in white, you can sand it down or strip the chair, which may give it a terrific rustic finish. I worked at Ikea over one summer and I have to say, that much of their decorating materials made of wood are all quite lovely. 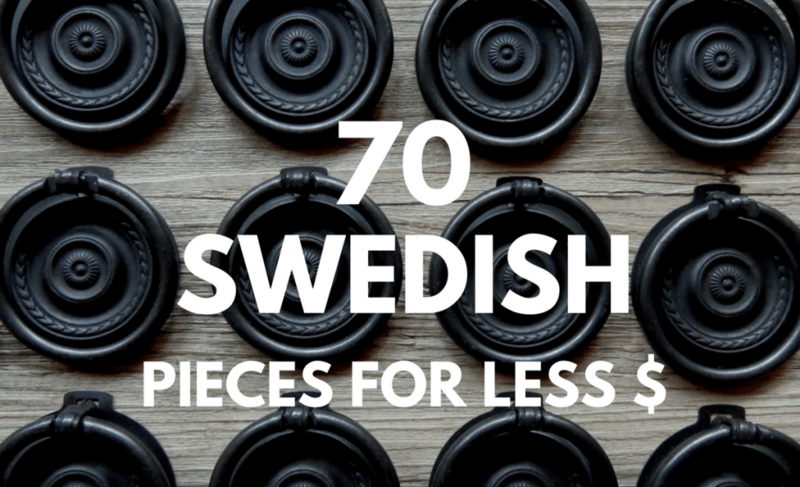 They can be stained, white washed or pickled for a Swedish look. The company sells a lot of attractive looks for a lot less. 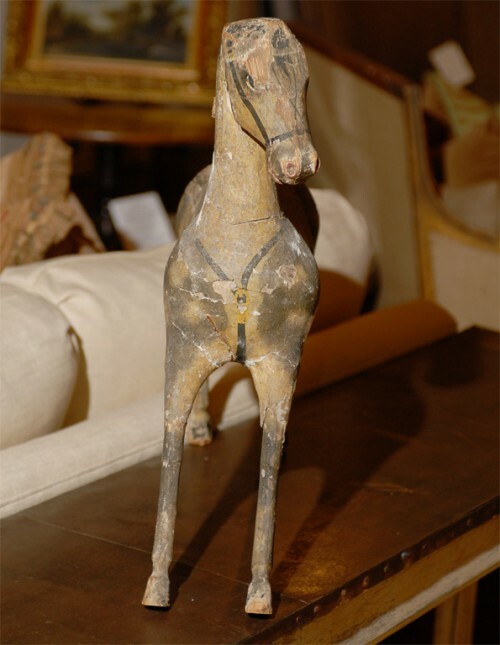 Some of the most classic toys are wooden horses or the antique pull toys. 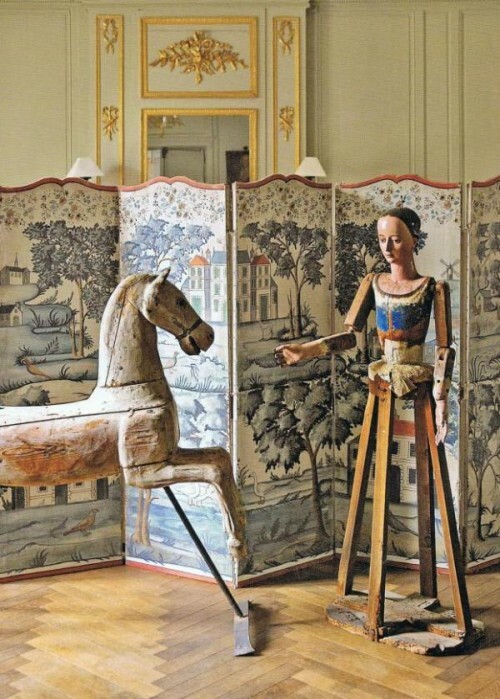 Some of the prettiest antique toys are those made of solid wood. 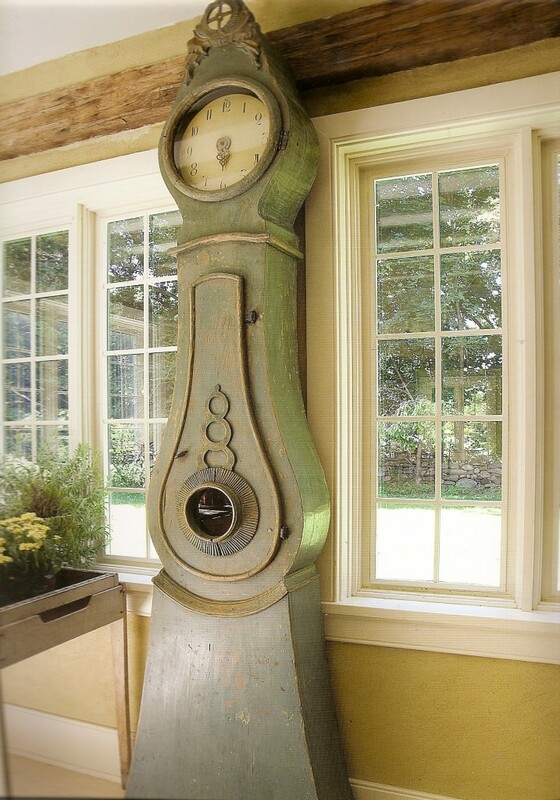 Today the modern day plastic has taken away the antique details and patina that happen naturally over time and finishes which get better with age. 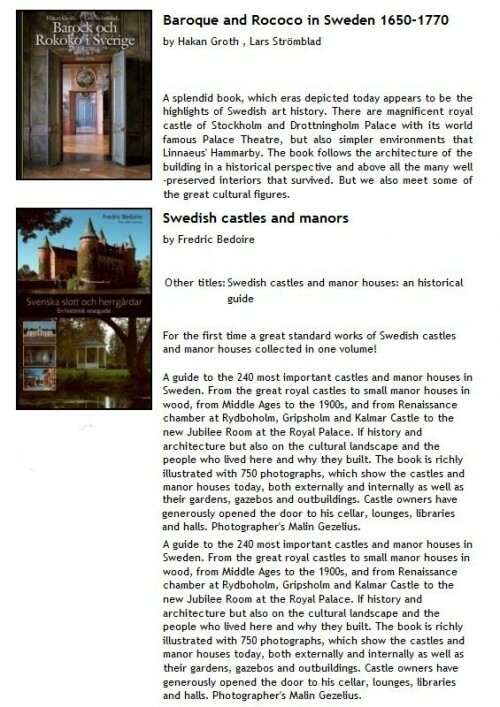 If you are familiar with Lars Sjoberg, and his many published Swedish guides, you will come to respect his work for preserving many of the Swedish historical sites to their original appearances. After digging around on the interent, I came across a site which talks about a film “A compass on beauty” – a film by IngaUU Cut about Lars Sjoberg. 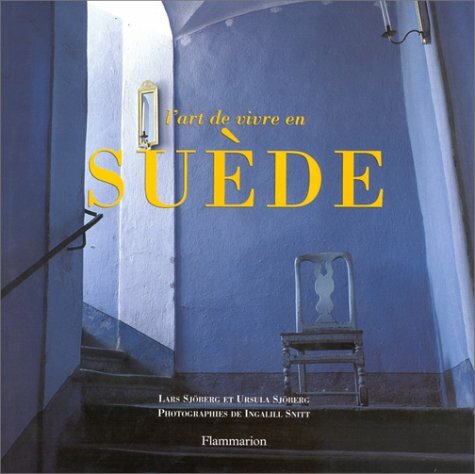 She worked with Lars Sjoberg in previous books such as “The Swedish Room, and” Swedish Timber “(2002) IngaliU Cut is an international photographer and resident in France for 20 years until she was 10 years ago returned to Sweden. 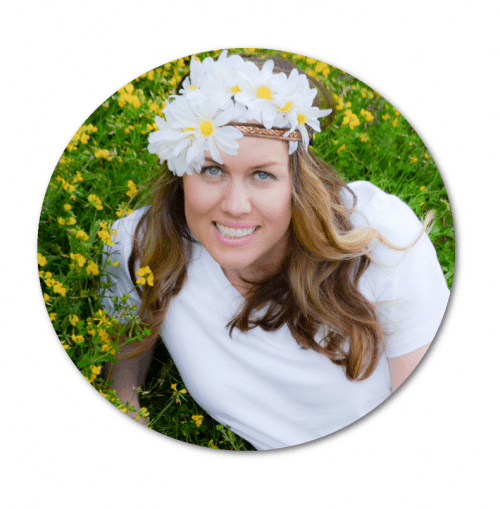 As a still photographer, she has worked for several major international newspapers and magazines. She has participated in 10 other pictorial works on such the Nordic World Heritage Site, Gotland, Sweden, Stockholm, Finland, etc. Ingalill Cut has directed some fifty commercials and short films. 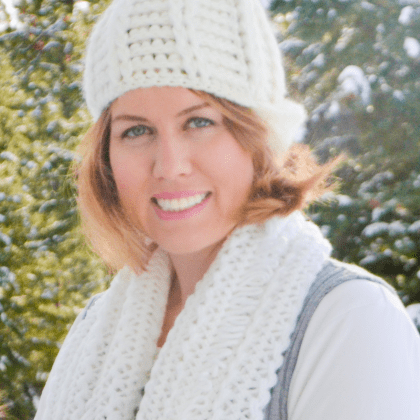 “A compass of beauty-” is her debut as a documentary filmmaker. Lars Sjoberg write up in Wikipedia. 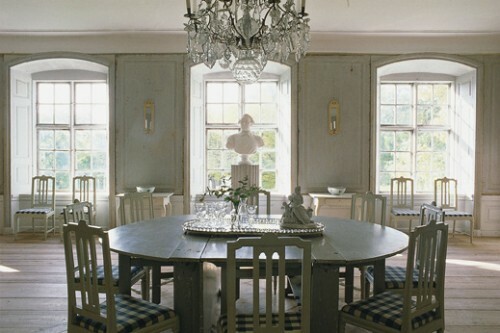 Lars Sjoberg is famous for his restoration of many cultural sites (10 ranging from old workers barracks to being the expert at Molndal for the rehabilitation of Gunnebo Castle – one of Sweden’s finest cultural sites from the late 1700s. Half of all the cultural sites he has saved from demolition. 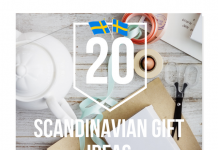 His house is located from Kramfors in the north to Marion in the south. He was employed as a curator at the National Museum for 36 years. 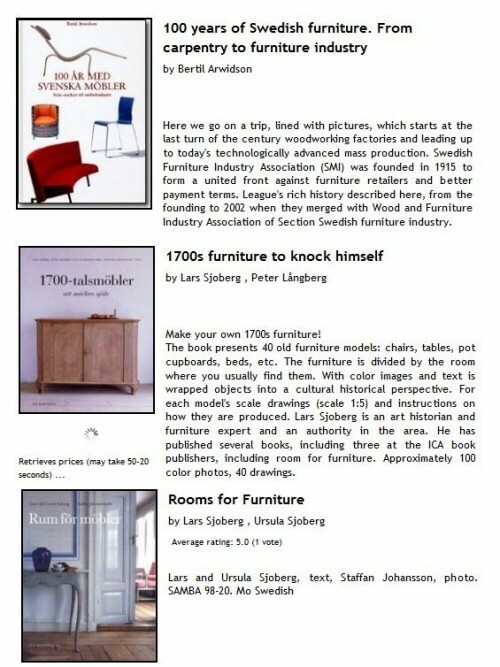 There are about a dozen books by Lars Sjoberg SOME which you cannot get in the United States. They are out of print on Amazon. There is an author by the name of Torsten Sylvén whose books look extremely interesting, but are out of print. 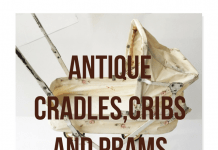 BELOW are books that LOOK extremly interesting but are rare to find! 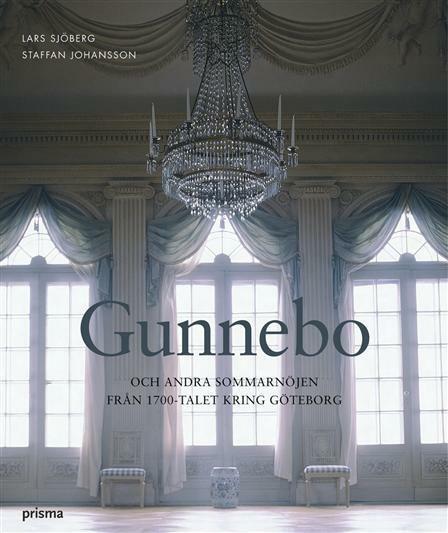 Gunnebo by Lars Sjöberg and Staffan Johansson is a book about a late 18th century summer house near Göteborg. 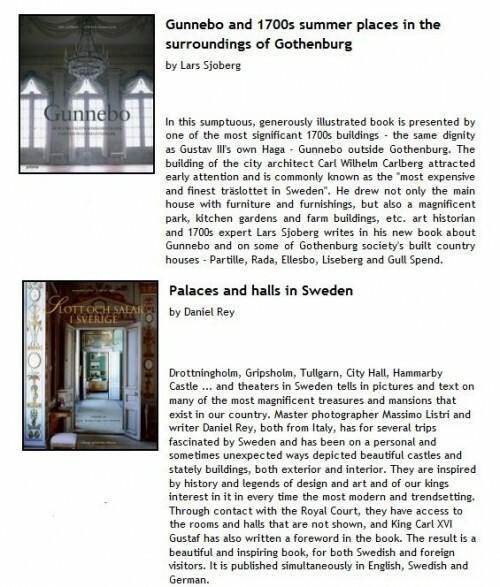 The book details information about the history of the building and the architecture and interior. The book also details pictures of the original plans. I believe this book is only available in Swedish and is not available on Amazon.